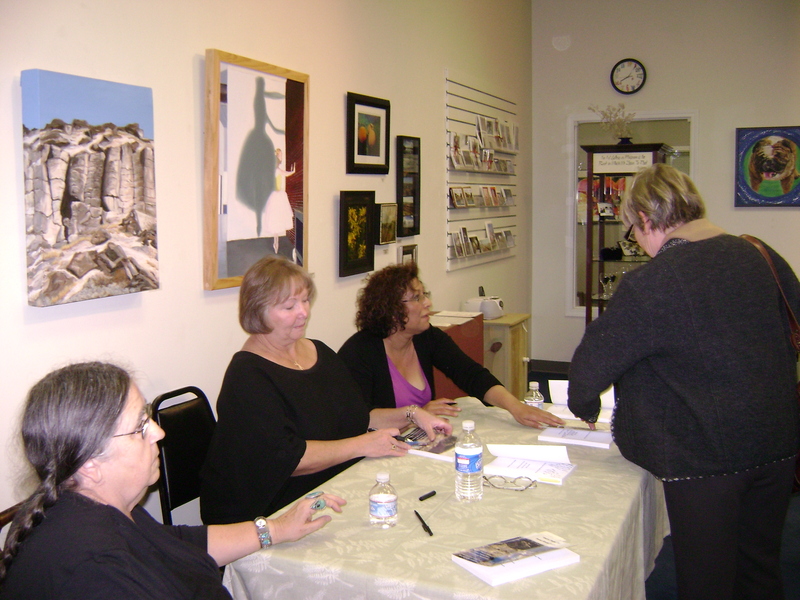 At a recent book-selling event that was a topic of conversation among many of the local authors. We had time to talk because a snow storm put a damper on sales. Given the opportunity to self-publish thanks to companies like Create Space, Book Baby, Lulu and more, authors can put their books into print, at least print on demand. This route is the alternative to the more traditional one of seeking an agent who will negotiate a sale of your work to a larger publisher. As a writer who has gone both ways, there are pros and cons to each. Make no mistake; the largest obstacle to the more traditional route is getting an agent because most of the very big publishing houses won’t look at you without one. Your writing and/or subject matter (hopefully both) must be compelling to get their attention. Once you land an agent, they will do the work to present your book to a publisher. Publishers will provide editors to make sure your work is the best it can be, as well as cover designers. Once published, they roll out their formidable marketing machine. More and more writers, even ones who have been published by traditional publishers, are looking at self-publishing. In this route you will have to take care of the things publishers do from editing to cover design to marketing to distinguish your book from the many, many more books there are out there because of self-publishing. That is a downside because the time you spend doing this takes away from your writing time. If you take this route, my best advice is to spend money on an editor. Readers usually don’t care who publishes a book, but they will care if it’s poorly written and full of grammatical errors that bump them out of the story. Then they’ll ask, “Who the hell published this book?” On the plus side, there are lots of editing services and cover designers available and plenty of advice online about how to market. All the profits from the sales of your book go to you. The end product is also a published book. So when asking the question to publish or not to publish, remember both ways mean work. Ultimately, you will never get paid for the hours upon hours you put into writing and rewriting your book unless it makes the bestseller list and you sell the rights for a movie starring Brad Pitt and Sandra Bullock. In the end, no matter what route you pursue — love the writing. What does a room of my own mean to you? What do you think she meant? Was she saying that she needed exactly “500 pounds” as money in her day was measured? I do not think so. I think she was saying that she needed an income comfortable enough that the basic necessities of life were covered. Enough money that she did not have to worry where her next meal was coming from, or wonder if she could pay the rent. After all if I am always hungry and worried that I may be thrown out into the street and be homeless at anytime, I’m not going to be able to focus on similes and metaphors. I believe “A room of my own” could mean a whole house or just a small corner of a room. It doesn’t matter. Many years ago I was sorting boxes of old magazines I wanted to keep for reference, into order by date of issue. I had so many magazines that I had to spread them out on the living room floor. It was the only space large enough. I’d spent an entire afternoon lining them up into rows and moving them from one area of a row to another as I worked through many years and months of dates. I was about halfway through when I had to stop to get dinner for my family. I recently staked out a room of my own from vacated rental space that the tenant no longer wanted. It is 20 feet by 22 feet with a huge storage area. It is in an area where I do not think I will be able to re-rent it easily, So, it is mine. In my room I will put my favorite books, a library table, a music maker of some sort, my computer and printer, plenty of reference books, a big easy chair or recliner, reading lamp, coffee table, inspirational pictures on the wall, and enough shelves in my storage area to hold paper, ink supplies, glue, staples, paper clips, pencils, notebooks, paper cutters, laminating machines. I want plenty of daylight and maybe even a dorm sized refrigerator and microwave for snacks. The room will be comfortable enough that I will want to spend time there. Who knows I may even store some folding chairs in the closet for friends or students, in case I decide to invite someone over or host a seminar in my space. Right now I am measuring for carpet and plan to put a curse on any who disturbs my space. There will be an amulet above the door. This article has mostly good news for writers of self-published books. The publishing world is changing daily, it seems, and there’s a lot of interest in the area of non-traditional forms of publishing. As “Writers Working for Writers,” the Idaho Writer’s Guild is proudly launching a new series called “Random Readings” on Saturday, January 30th from 1-3 pm at The Cabin, in Boise. Featured writers will share their experiences, from writing to publishing. Here’s what you can look forward to: authors will read from their books, with commentary. Afterwards, there will be time for asking questions and sharing thoughts about the nuts and bolts of a variety of publishing processes. Not-to-be-missed refreshments will be served. Southern Idaho residents Bonnie Dodge, Dixie Thomas Reale and Patricia Santos Marcantonio wrote and published “Voices from the Snake River Plain.” A collection of short stories, poems and essays, the book has been described as “a small treasure….we learn there is beauty in the landscape around us and people with stories to tell.” Some of the tales by these award-winning writers include a jackalope, an old Mexican ghost story, haunting landscapes and a road trip with Louis L’Amour and Zane Grey. Also from Boise, Ken McConnell is both traditionally published and self-published. A Software Test Technician, Ken wrote and published “Starstrikers” in 2008. His first novel is “a military space novel that takes place between two galactic civilizations.” He also wrote “Null Pointer,” a mystery novel about a programmer sleuth. “Random Readings” will take place in the Jean Wilson Reading Room, on the basement level at The Cabin, 801 S. Capitol Blvd, Boise. Admission is free. For further information contact Diane Graham at diane@idahowritersguild.org. On November 6, Pat, Dixie and I enjoyed reading excerpts from Voices from the Snake River Plain to a standing-room-only crowd in Twin Falls, Idaho. A heartfelt thanks goes out to everyone who helped celebrate the launch of our new book. If you missed the event, copies are still available at the Magic Valley Arts Council, 132 Main Avenue South, Twin Falls, Idaho. They are also available at the Log Cabin Literary Center, 801 S. Capitol Boulevard in Boise, Idaho. Voices from the Snake River Plain is here! Voices from the Snake River Plain is a collection of short stories, essays, and poems written by Bonnie Dodge, Dixie Thomas Reale, and Patricia Santos Marcantonio. Edited by Jennifer Sandmann, the anthology includes tales that range from humorous to haunting, poignant to tragic. Sometimes the stories rise out of the landscape and from dreams. Sometimes they reach into the past, or into the future, but mostly, the stories echo the human heart. Many of the selections have been printed in other publications or have won writing awards. With a foreword by Diane Josephy Peavey, author of Bitterbrush Country: Living on the Edge of the Land, this is a book you will want to add to your collection. Voices from the Snake River Plain was made possible in part by the Embodiment Grant of Boise.